When it comes time to say yes to the whitening treatment, patients voice concerns, which we also refer to as objections. 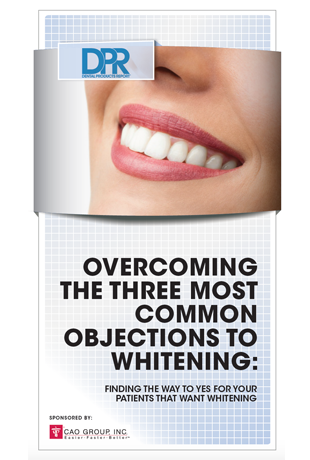 In this case, objections are like obstacles, and they are preventing your patient from saying yes to whitening. Overcoming them requires a particular skill set that helps your patients make decisions they feel comfortable with and is in their best interest—without being pushy or damaging your relationship as a health care provider.